Metropolitan Los Angeles is being squeezed from south to north at 8-9 mm/yr (⅓ inch per year), about one-fourth the rate your fingernails grow. This squeeze was the ultimate driving force behind the 1971 San Fernando, 1987 Whittier Narrows and 1994 Northridge earthquakes, three days Angelenos need no reminder of. These tremors were “thrust” earthquakes, in which the top side of the fault is thrust up and over the bottom side – the optimal way to accommodate a tectonic squeeze. The tolls of these earthquakes prompt a natural question. 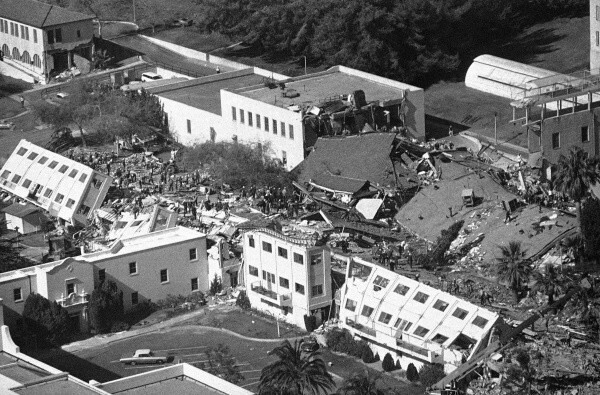 Damage at the San Fernando Veterans Administration hospital in Sylmar killed 49 people. The VA hospital wasn’t the only hospital damaged. New, supposedly earthquake-resistant buildings at Olive View hospital, also in Sylmar, were destroyed. 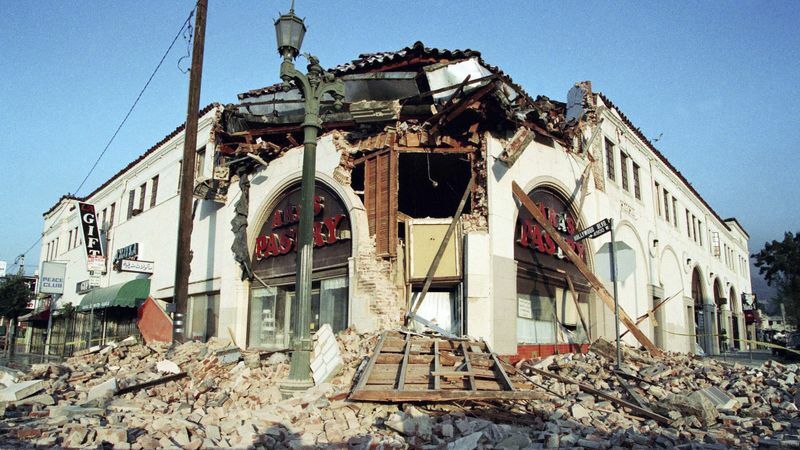 The quake also damaged freeways and left older buildings in surrounding cities like Burbank, Glendale and Beverly Hills destroyed beyond repair. It seems you can’t turn on the television these days without seeing coverage of natural disaster happening somewhere on Earth. Whether it’s a hurricane sweeping through the southern United States, or earthquakes, volcanoes and tsunamis causing mass casualties in a nation along the Pacific Rim of Fire. Although you may live in an area you thought was safe from these kind of natural disasters, you may be surprised at how much actual risk there is. For millions of Americans and thousands of American data centers, the biggest threat may be from the ground shaking below. Using data from the US Geological Survey, WorkSafe has compiled a list of 12 major American cities which are in serious trouble and have a large probability of experiencing monumental damage from an earthquake. Some of the cities here may not be a surprise to you however plenty here may shock you. The USGS data shows us that some of these cities are at natural risk but some of the risk has been exasperated by mankind’s action. This means that parts of the country which were relatively risk-free are now at an increased risk of a damaging seismic event. Is your Data Center located in one of the cities listed here? Contact us today to discuss WorkSafe’s variety of solutions to help you through an inevitable seismic event. The USGS says the city is at risk of a serious earthquake. Most of us generally think a devastating earthquake would be most likely to hit the US in parts of California or Washington, but the threat is very tangible even in the middle America. Take Memphis for example. 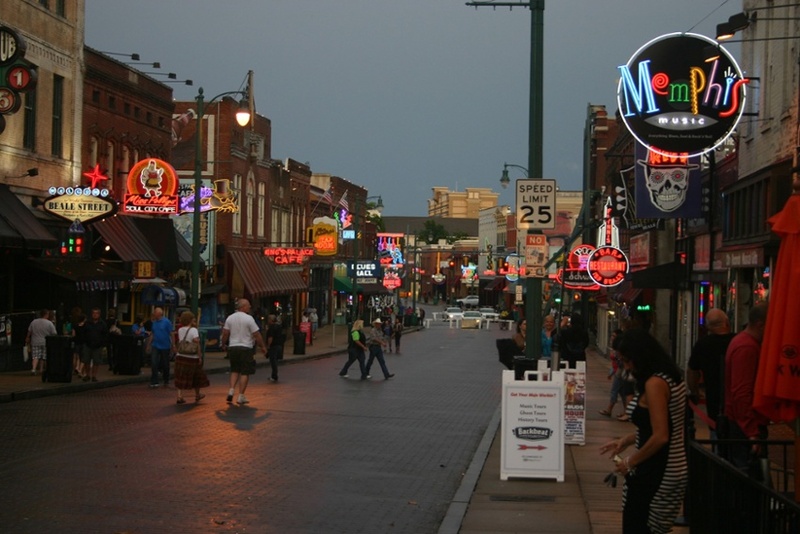 You might be surprised to learn that Memphis is actually at a significant risk of a seismic event. The USGS believe there is a 25-40% chance of experiencing an earthquake of magnitude 6.0 or greater in the next 30 years. 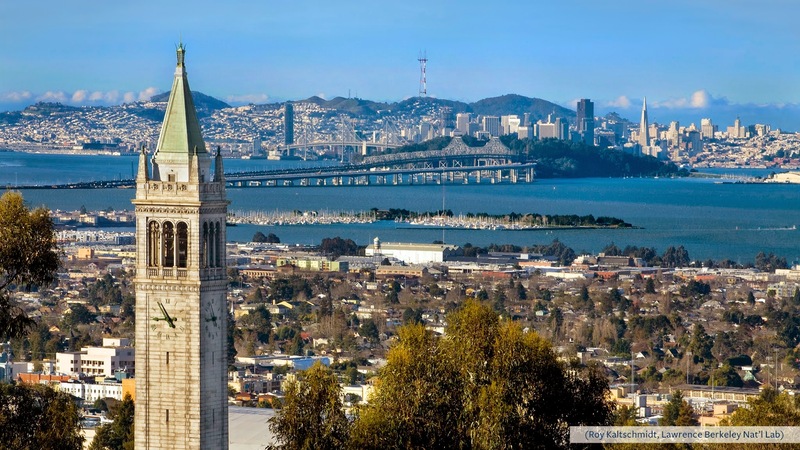 Scientists predict the Bay Area is at an elevated risk of a disastrous earthquake occurring soon. While we’ve seen earthquakes hit this area before, and we are certain to see it again, the bay area has grown exponentially since Loma Preita. Silicon Valley is now home to some of the largest tech companies on earth like Apple, Google, and Facebook, and it is only a matter of time until an earthquake strikes there again. Think about it, when Loma Prieta struck most of us didn’t carry cell phones and social media wasn’t even thought of. 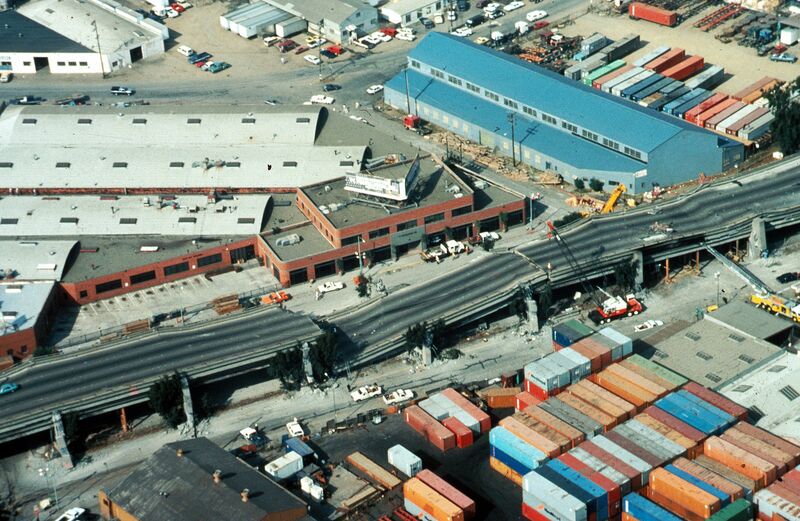 What will be the impact to your data center when an earthquake strikes Silicon Valley? And the USGS reports that there is a 63% chance of a large-scale earthquake striking the Bay Area in the near future. The event could even strike on one of the two large faults located in the Bay, the San Andreas and Hayward faults. 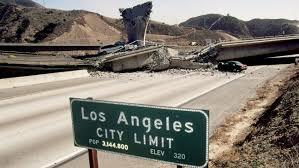 LA also sits near the San Andreas fault and for decades, we’ve been hearing about an earthquake striking on this fault. It could even become the source of the “Big One.” The perceived threat even spawned a Hollywood film starring The Rock, where the quake sent Southern California into the sea. While that was a work of fiction, Scientists agree that it is not a matter of “if” but “when.” Experts say a big quake is a near certainty by 2037, and it’ll be a 6.7 or larger. 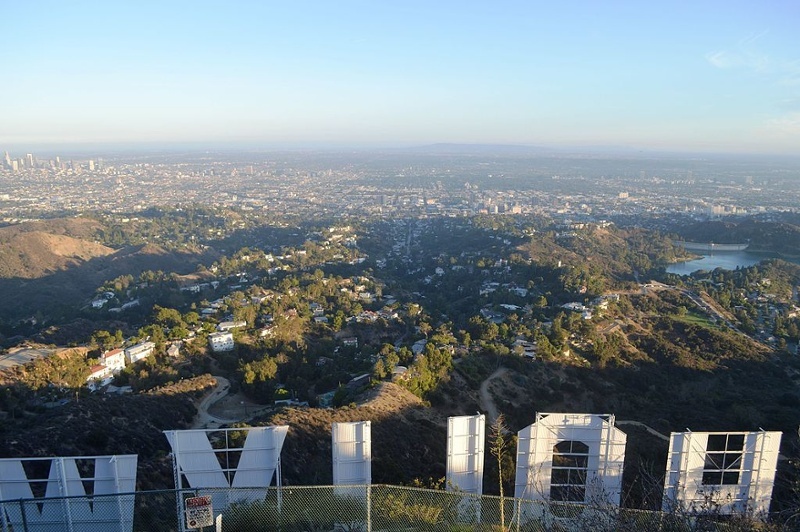 Technology and Media companies with a large presence in Los Angeles include: SpaceX, Netflix, and NBC Universal. 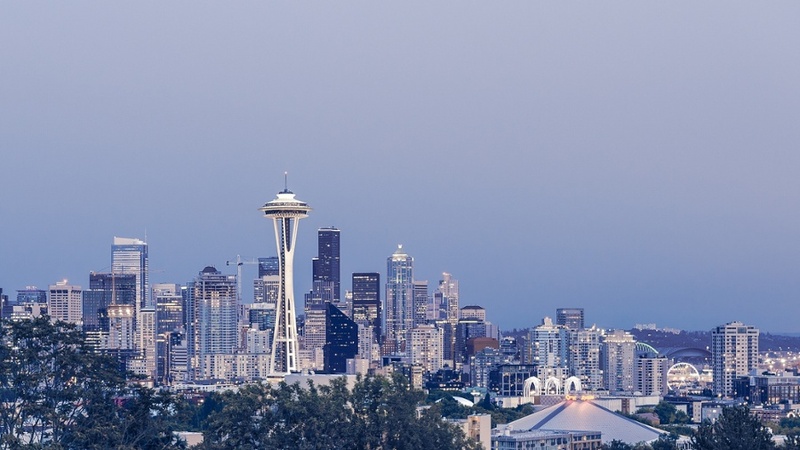 The Emerald City is home to some major tech companies as well. Amazon, Microsoft and Nintendo headline the list. Researchers list Seattle as the city that they worry about the most. San Francisco and Los Angeles may have to worry about the well-known San Andreas fault. However, Seattle has to deal with the Cascadia subduction zone and its propensity to unleash a much larger earthquake than the San Andreas is thought to be capable of. It is a nearly 700-mile seismic zone that causes regular earthquakes, and sooner than later Seattle area’s 4 million plus residents will have to deal with a major earthquake. As long as we can remember the idea of an earthquake striking Oklahoma was far-fetched. However, the chances of a large-scale seismic event hitting Oklahoma, including its capital Oklahoma City have dramatically increased. Oklahoma isn’t located near any large fault lines or other typical natural phenomenon that can cause seismic events. Fracking could be at fault as the state has 3 minor quakes hitting on any given day. The “Silicon Prairie” as it is now known is home to a growing technology ecosystem. 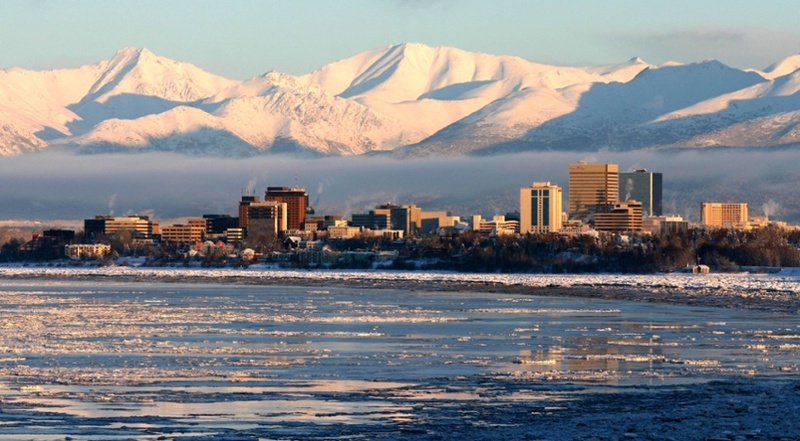 Anchorage joins other at-risk cities on this list, including Seattle, Los Angeles, and San Francisco. It seems that earthquakes strike Alaska quite often. When they happen, Alaska’s low population density allows for a low number of fatalities, if any. However, if an earthquake were to hit Alaska’s biggest city directly, it could cause some major damage. The city could also be at major risk of a tsunami. While we have discussed the threat to Oklahoma, we must also mention its second largest city, Tulsa. We would be misleading if we didn’t include it on this list. 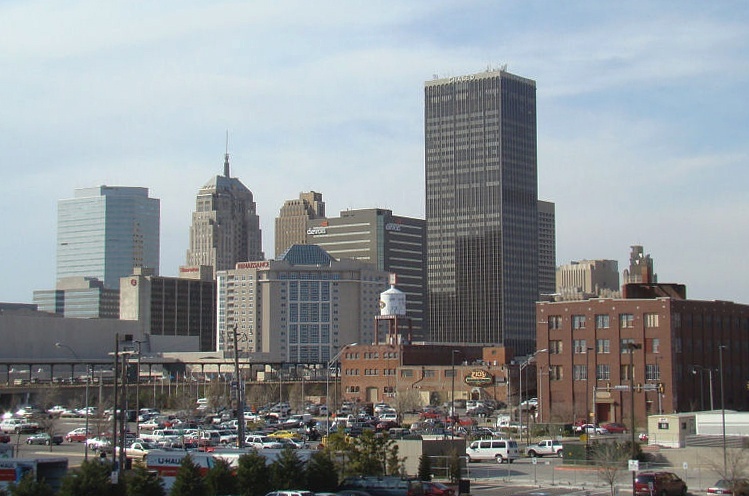 Residents of Tulsa have become rich as a result of the hydraulic fracturing industry. 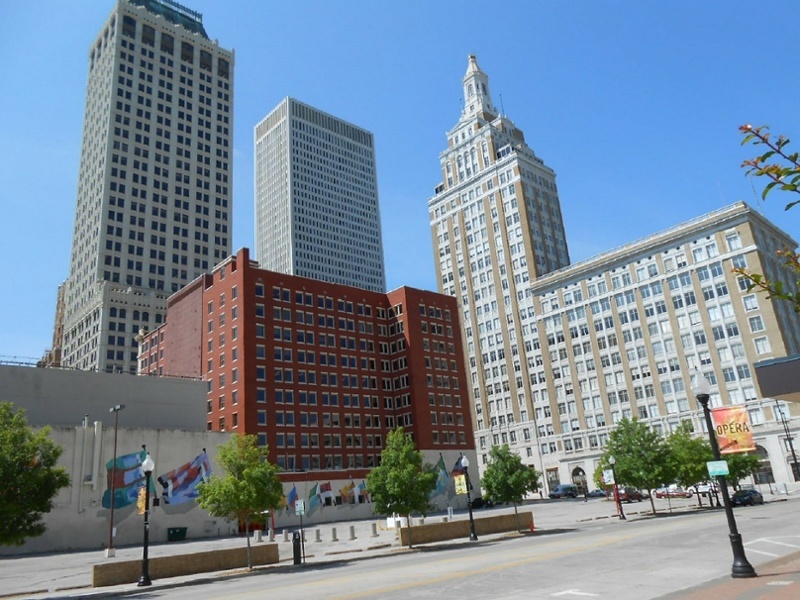 In turn this influx of money has fueled the Tulsa economy. The growth of the fracking industry has resulted in the USGS planning to issue a new seismic map every year instead of issuing one every six years. The threat isn’t as serious as its Cascadian counterpart, Seattle, but Portland is still at risk. Scientists believe that there is a 20 % chance that Portland and most of northwest Oregon will be hit by an 8.0 quake at some point in the next half-century. They estimate 13 thousand people will lose their lives either in the quake or the resulting tsunami. With tech companies such as Intel, Xerox, and Hewlett-Packard having a major presence there, what will the damage be to the Rose City’s tech sector? Salt Lake City actually sits directly on top of the 240-mile-long Wasatch fault. Utah’s capital of Salt Lake City is actually sitting in peak position for an earthquake. While we don’t know when it will strike, scientists claim that a seismic event with a magnitude as high as a 7.0 on the Richter scale, could occur sometime soon. A big quake hasn’t occurred for some time. The last major instance was in the mid-1850s. The Big Apple sits on shaky ground. While the city is not at risk of a massive earthquake like Los Angeles or San Francisco, New York is located in an area laden with fault lines. Modest quakes around 5.0 on the Richter scale have hit the area for hundreds of years, the last one of consequence being in 1884. Can you imagine the impact a major quake would have on Wall Street and the resulting effects on the global economy? It is truly frightening to think about. In 2011, a smaller 5.8 earthquake centered in Virginia caused damage to the Washington Monument. So, yes, the threat is very real. The D.C. and surrounding areas should likely become familiar with the Virginia seismic zone because scientists predict it may be the origin of a significant earthquake to come. With the estimation of over 10 million square feet of data centers being built here, and the seismic risk that exists, you had better consider earthquake proofing your facility. As recently as 2011, many buildings in DC and Virginia were damaged by a small earthquake in Virginia. Although this may be minor balanced against the risk in California and the Pacific Northwest, D.C. is still threatened. In fact, there’s higher risk to D.C. than previously thought as geologists have begun to learn more about the encompassing area and buildings there are not being designed to withstand earthquakes. You may be the most surprised by the inclusion of Charleston on this list. Charleston is part of the South Carolina coast, and it is better known for its risk of hurricanes coming ashore rather than earthquakes. However, there is an elevated risk for seismic activity. The last quake of note was in 1886 when an earthquake with an estimated magnitude greater than 7.0 struck near Charleston. There was approximately 6 million dollars in quake damage from this quake. When adjusted for inflation, that is north of $150 million in today’s dollars. The data from the USGS show the Savannah risk to be distinct and they anticipate more activity going forward. The USGS predicts the next quake could be greater than a 6.0. USGS Forecasts 400 Fires, 20,000 People Trapped in Elevators, 400,000 Homeless in East Bay Earthquake. At 4:18 p.m. today, a M=7.0 earthquake will tear across the East Bay. The quake’s epicenter will be just east of downtown Oakland along the Hayward Fault. Shaking will be felt across the entire Bay Area, and in many areas, it will be strong enough to destroy buildings, and render many vital lifelines useless. Up to 400,000 people will be unable to use their homes, 22,000 people will be trapped in elevators, more than 400 gas and electric fires will start, and East Bay residents could lose tap water for up to 6 months. In total, losses will likely exceed $100 billion, and aftershocks will shake the region for years. Fortunately, this earthquake is not real, but rather a USGS scenario, dubbed HayWired, that will be presented to the public today, coinciding with the release of the scenario’s second volume, on the impacts of a large magnitude earthquake on the Bay Area.